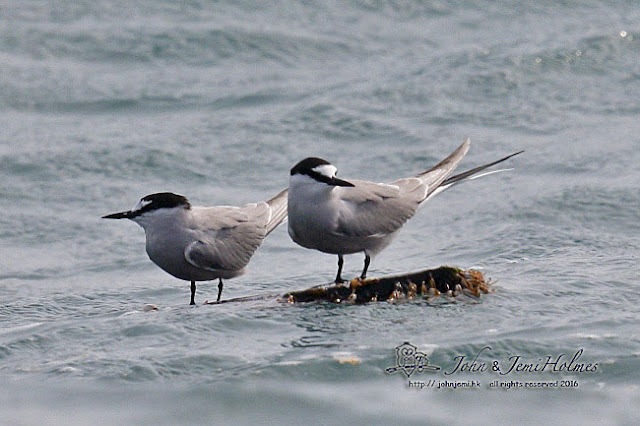 Hong Kong’s two commonest breeding terns are Bridled Tern and Black-naped Tern. At this time of the year, both can be found on remote, rocky outcrops in HK waters. 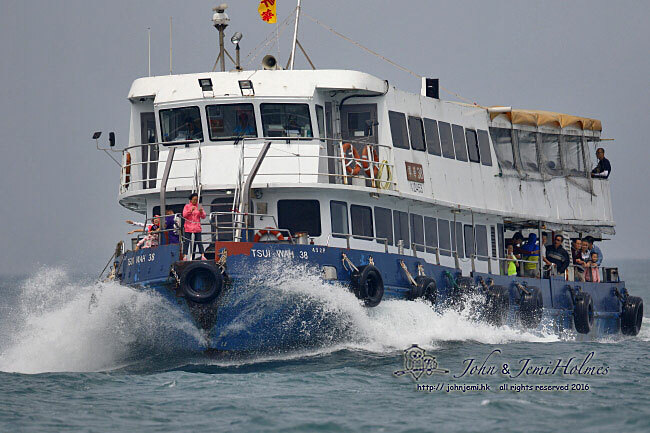 We got the public ferry to Tap Mun, and hired a smaller boat for a trip around the tern islands in Mirs Bay. All of these photos were taken from the boat; - we didn’t land on the tern islands. 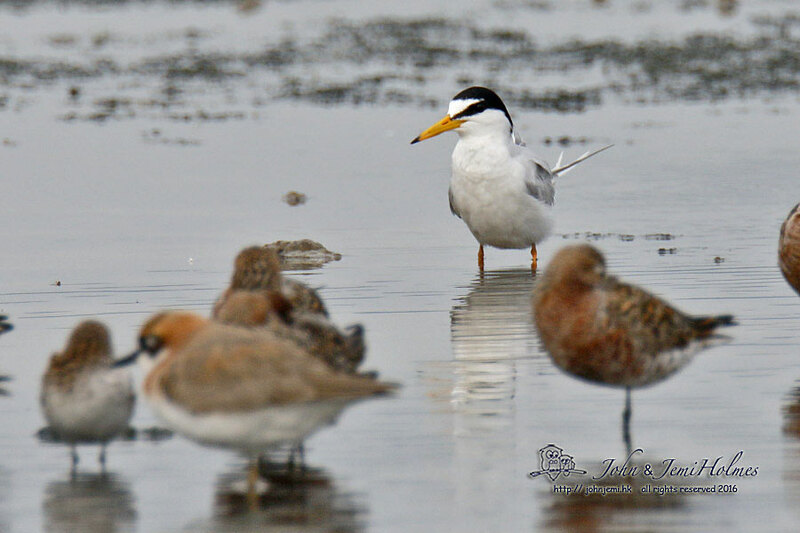 Right now there is some courting and nest-site selection activity going on, but it seems the terns have not laid their eggs yet. 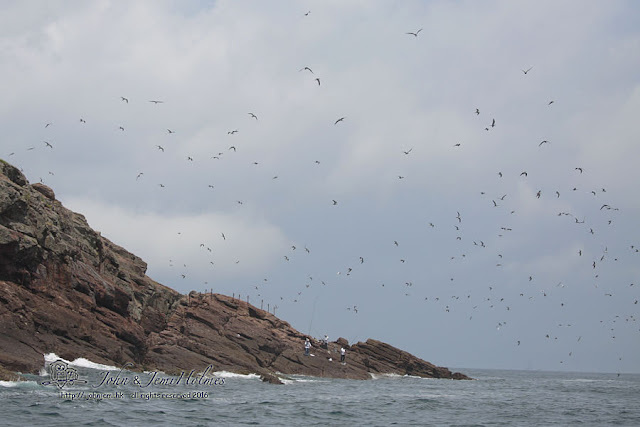 The presence of anglers on the same islets can cause some disturbance, so the government has fenced off some sections and posted signs to advise the humans to be considerate, and not disturb the breeding birds. 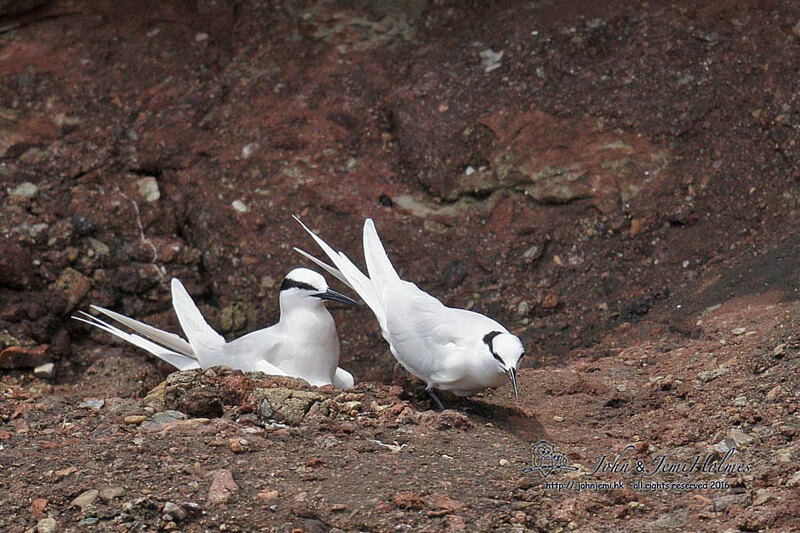 Some artificial nesting shelters have been paced on some of the bare islands to encourage the terns to stay and breed. 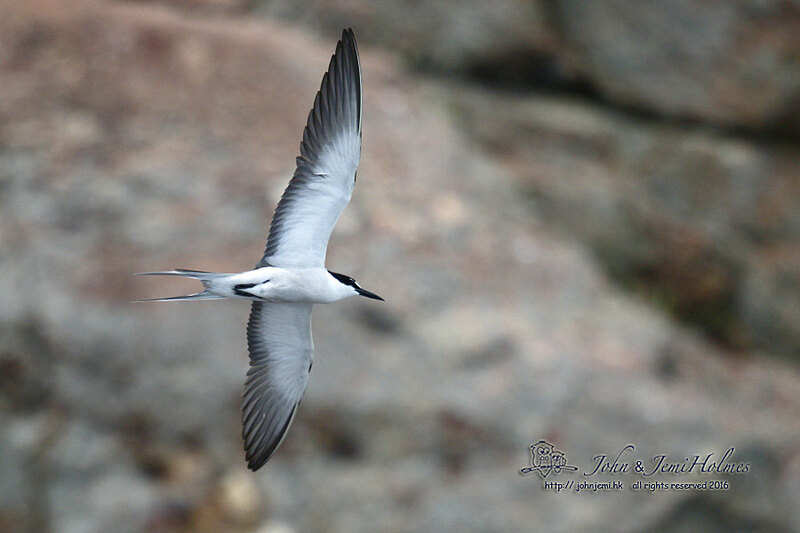 We saw several of these already were occupied by paired terns. 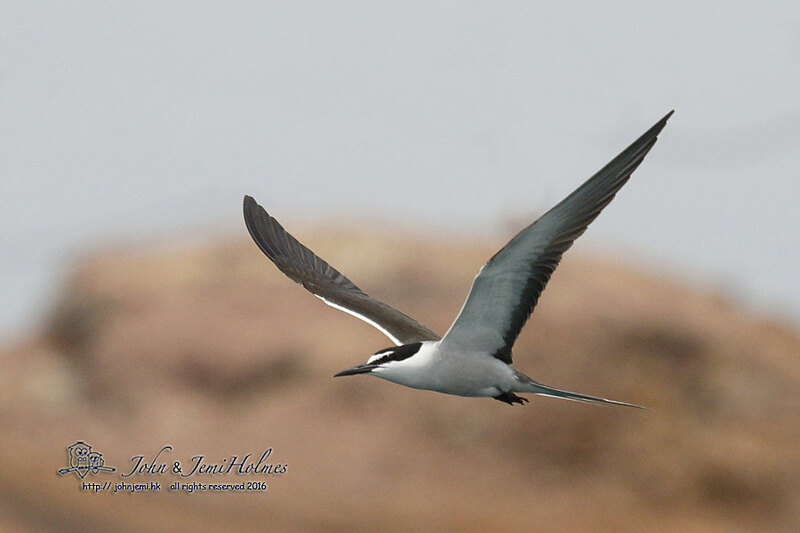 So far, so good - this year it looks like four hundred or more Bridled Terns are preparing to breed. There are also smaller numbers of Black-naped Terns in the same area. Every spring I try to note as many migrant wader leg flags as possible, and either write the letters/numbers down or get a photo. 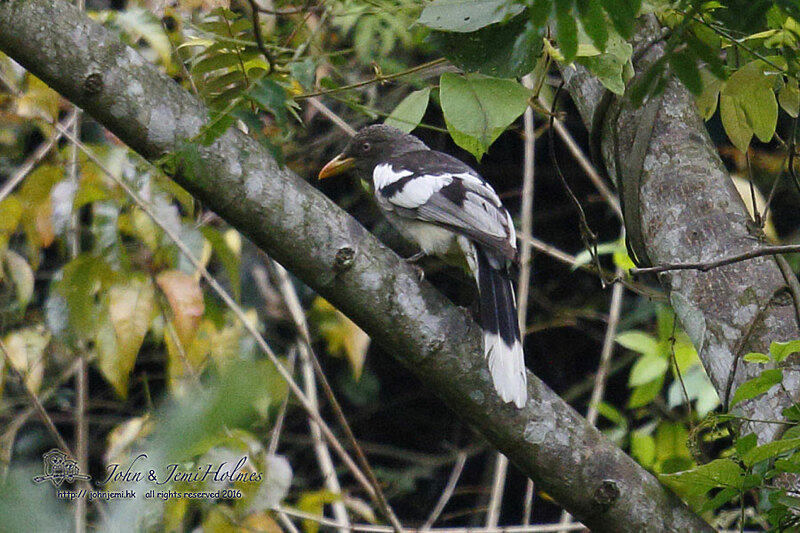 Then I'll report them on the appropriate thread on the Hong Kong Bird Watching Society website. 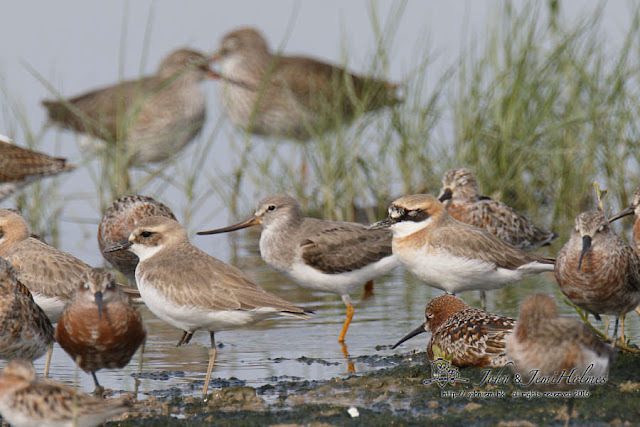 These will then be reported to the organisations in the East Asian-Australasian Flyway by co-ordinating BWS staff, YU Yat-tung or Ivan TSE, mainly. 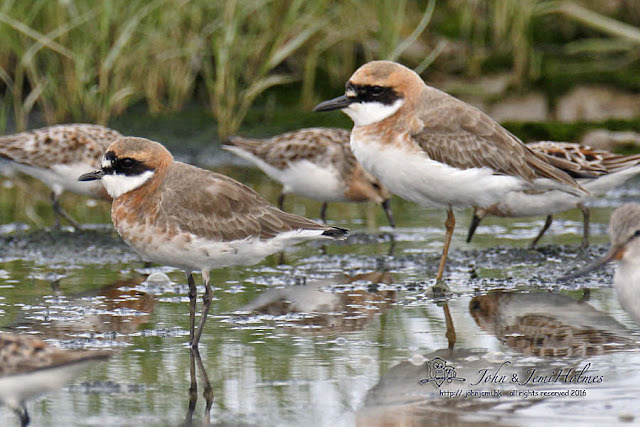 Spring passage is over and it's feedback time - so here's a self explanatory response from the Australian Wader Studies Group, Victoria. "....Please check the information given below and advise me if any details appearincorrect. 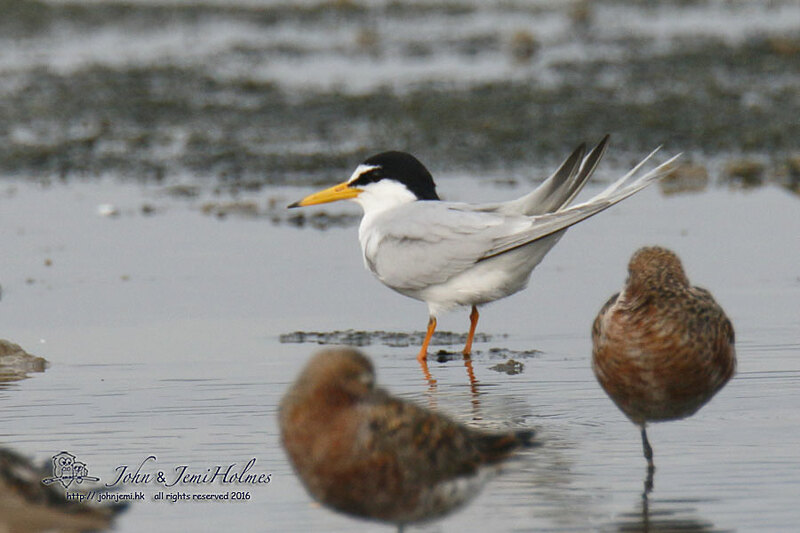 This bird was flagged in Victoria (Australia), approximate co-ordinates38deg 0min S, 145deg 0min E, which uses the flag combination Orange. 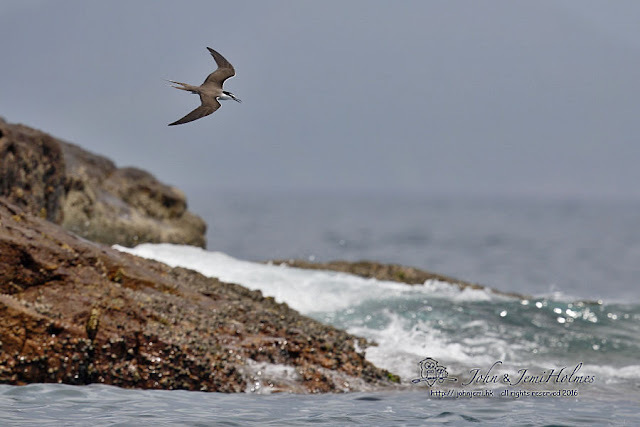 The resighting was a distance of approximately 7245 km, with a bearing of334 degrees, from the marking location. 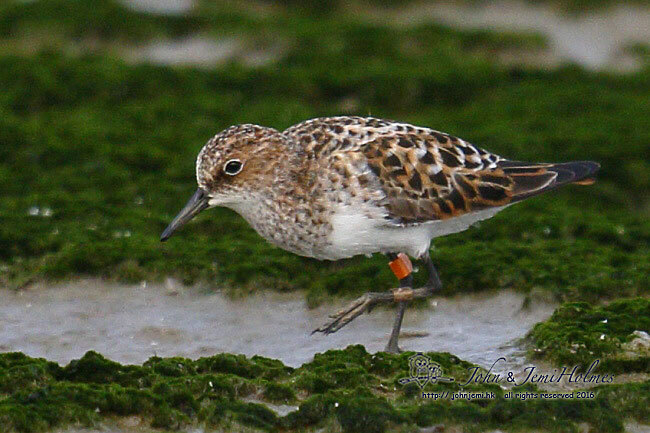 This is the first time a flagged Little Stint from Victoria has been seenanywhere else. Only nine known Little Stints have been flagged in Victoria since 1978. 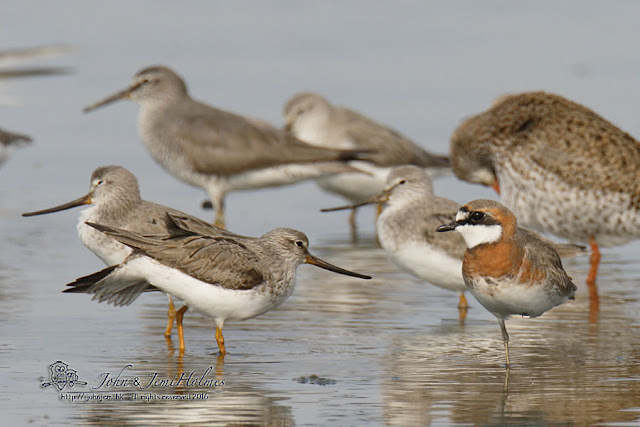 Due to the difficulty in identifying these (from Red-necked Stints) innon-breeding plumage, it is likely that this bird was not recognised as aLittle Stint when banded. Thank you for contributing to shorebird research studies in the EastAsian-Australasian Flyway. The information you have helped to collect isvaluable for scientific and conservation purposes." 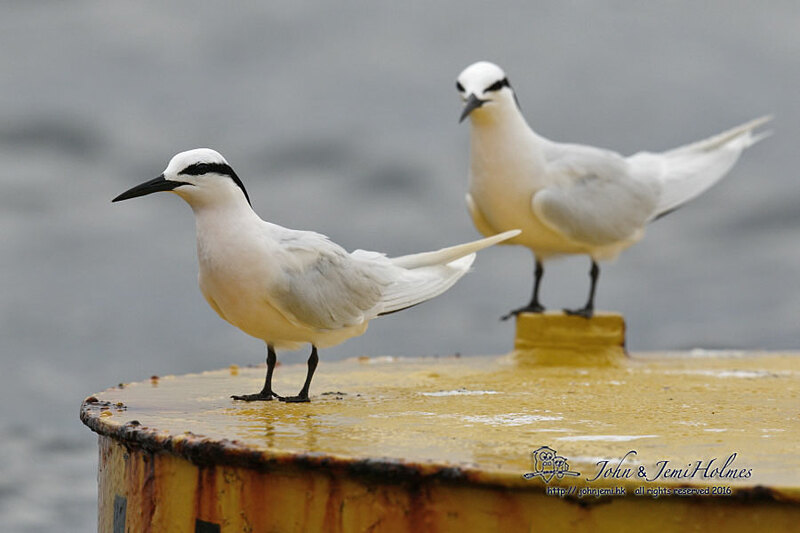 A migrant bird transit lounge - Po Toi Island, Hong Kong. 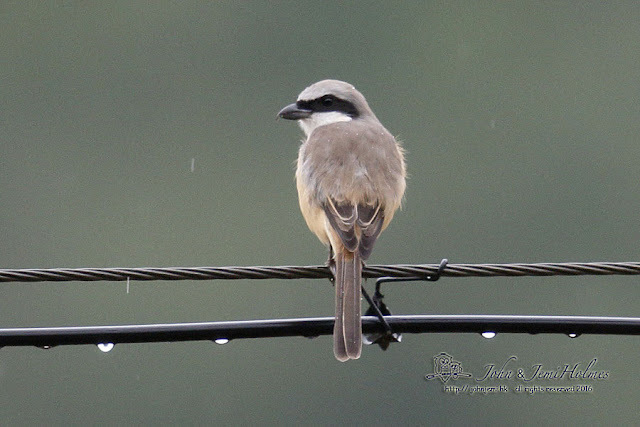 I've been out to Po Toi only three times this spring. Twice on HKBWS boat trips, and once on the public ferry. 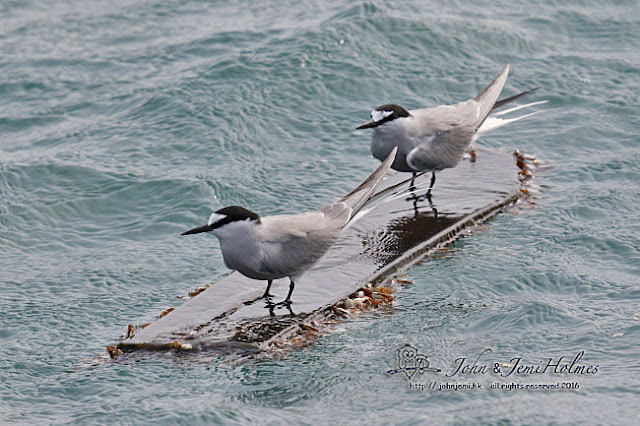 Here's a shot of the ferry, passing through some choppy water at the entrance to the small harbour. 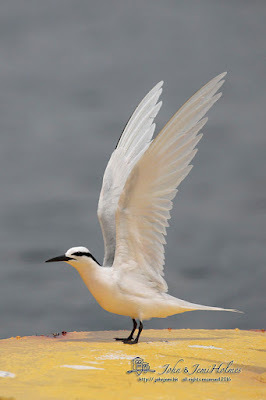 It's rough weather that can bring the birds in. 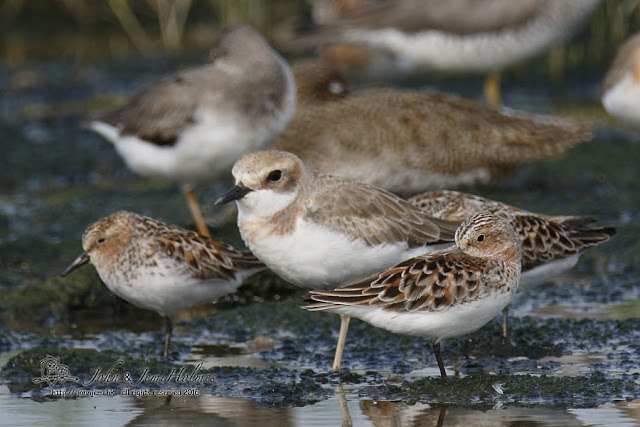 Po Toi is Hong Kong's most southerly island, and for a variety of reasons it may be the first piece of solid ground migrating birds see after they cross the South China Sea. 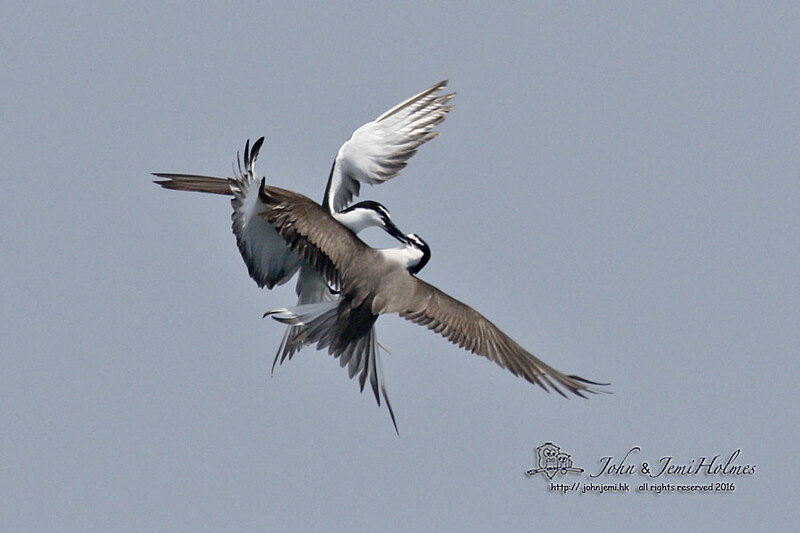 Here are two shots of a "Whew - just made it!" 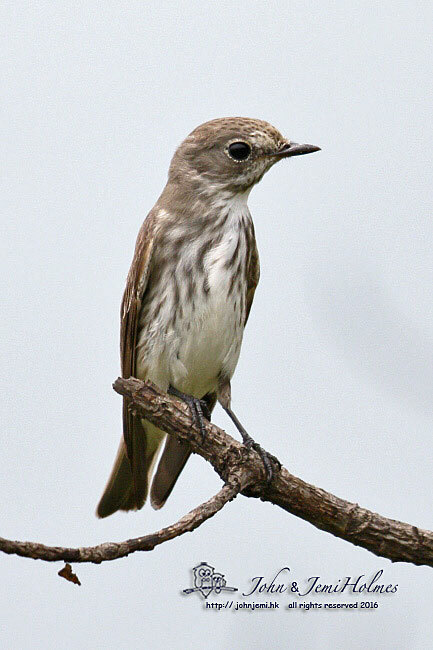 Grey-streaked Flycatcher. 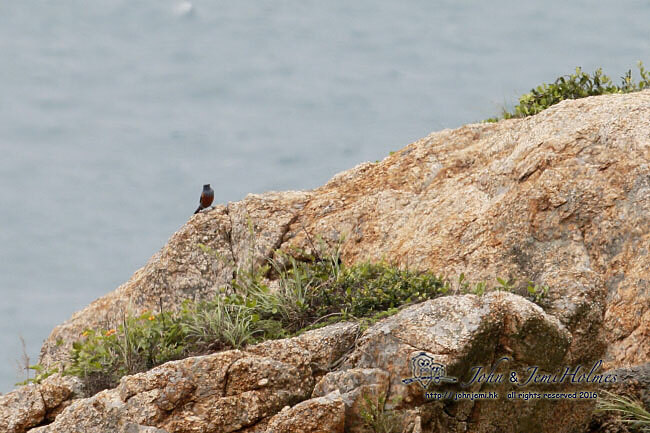 Similarly, here a Blue Rock Thrush has just arrived, too. 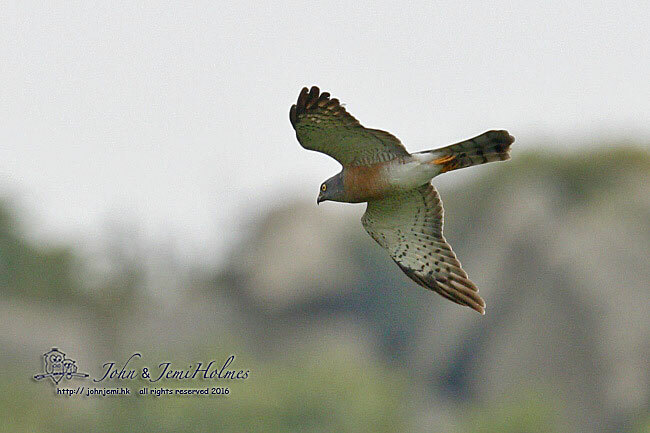 On May 1st there were a few Chinese Sparrowhawks around. And completing a migrant raptor theme, a solitary Grey-faced Buzzard the same day. 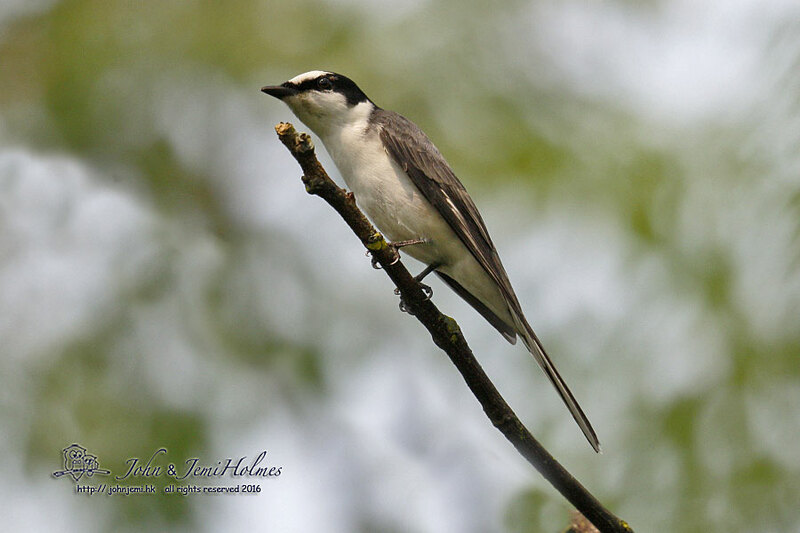 And Ashy Minivet. 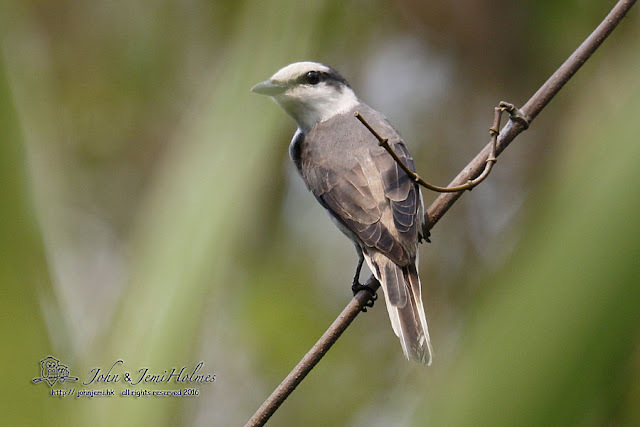 It was actually in the same tree as the Swinhoe's Minivet above. 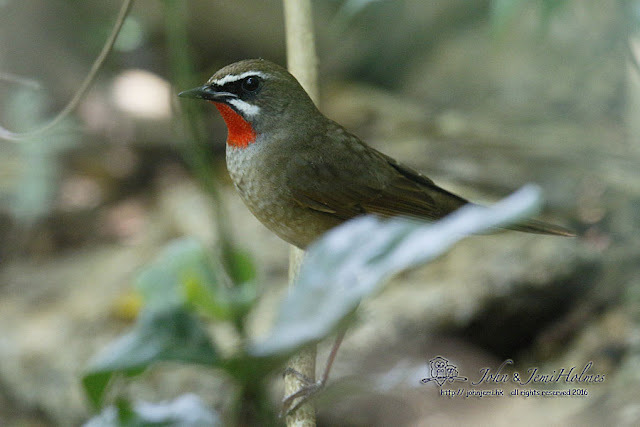 On May 7th I managed to connect with this Siberian Rubythroat in a dark gully on Po Toi. 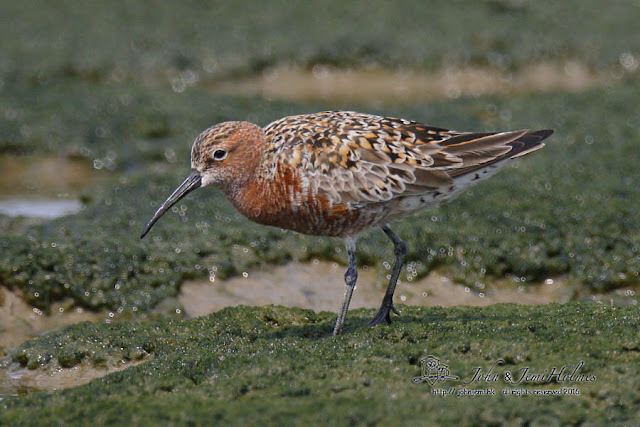 It was not quite the latest date ever for a species that is a passage migrant, but mostly a winter visitor to Hong Kong. 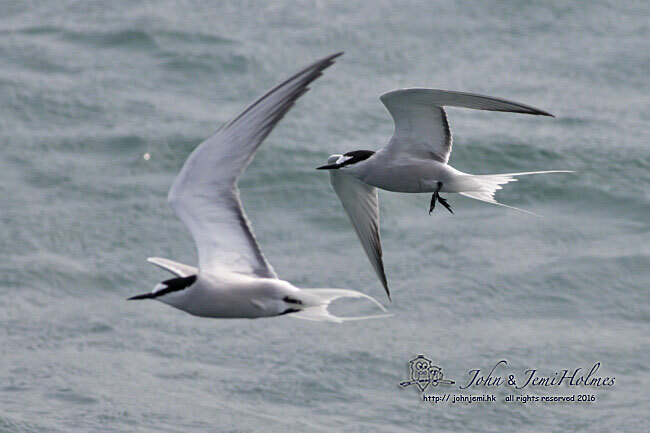 Both the spring boat trips were good social occasions, but the seabirds were mostly rather distant for photography. An exception - well, two exceptions really, were these two Aleutian Terns on a piece of driftwood. 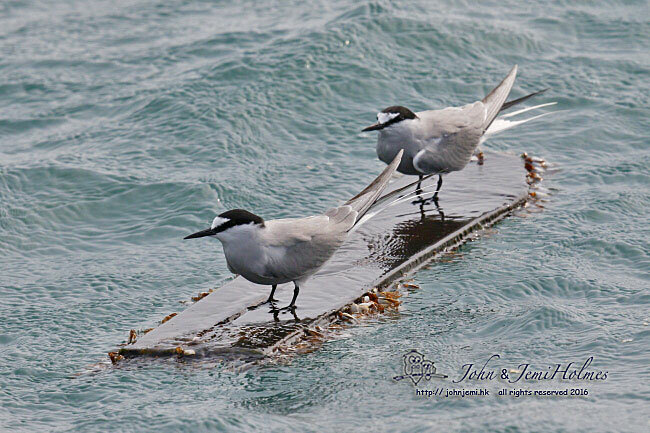 The final shot is Jemi's - I didn't get any pics as the terns took off, losing my focus onto the waves. I must do better next time ! There always seem to be a lot of factors to consider when trying to judge the timing and height of the tides at the boardwalk at Mai Po. And there's always a concern that, even if the tide is a good height, there may not be any birds on it. Capricious things, birds. 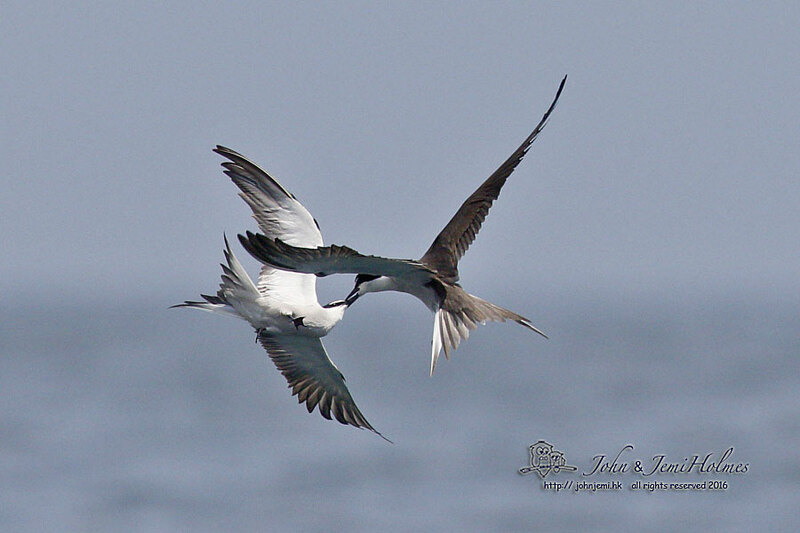 As you can see, things fell into place nicely earlier this week. There are not as many waders around as there were a couple of weeks ago, but a lot of them are in breeding plumage now. 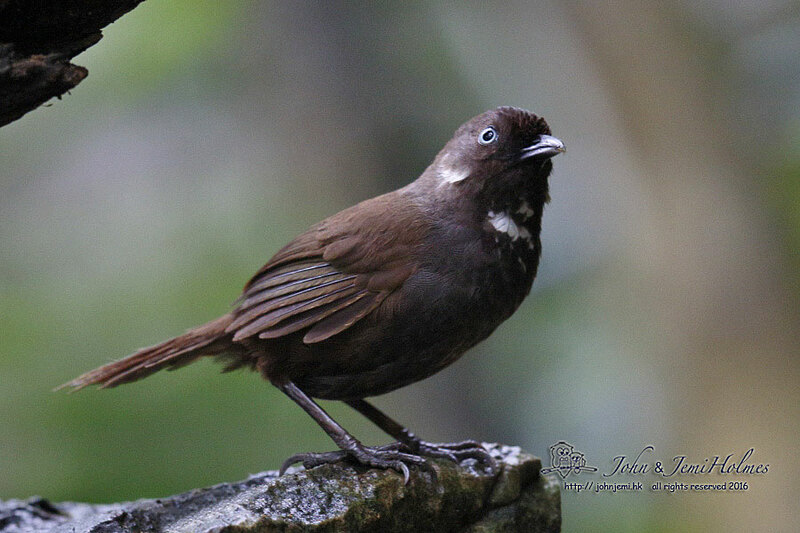 The Nonggang Babbler was first described to science in 2008. 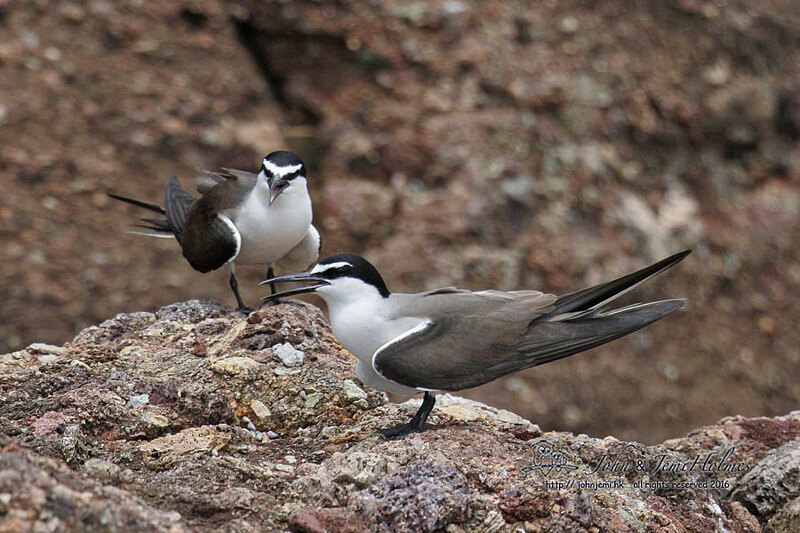 Like many other birders, we were keen to see a species that had evaded formal ornithology until the 21st century. We had heard that some entrepreneurial villagers near Nonggang Nature Reserve had a reliable stake-out for the bird. Despite that, one still has to make a special effort to get down to the karst landscapes of SW Guangxi, an area largely overlooked by ornithologists and birders for many years. Richard Lewthwaite had kindly given us a birdlist for the area, and it was interesting to see which periods of the year had been covered by other people, including Richard himself. Richard and Jonathan Martinez also reminded me of the paper by Jiang Aiwu et al in Forktail 30 which details bird records 2004-2012 centered on the Nonggang National Nature Reserve. 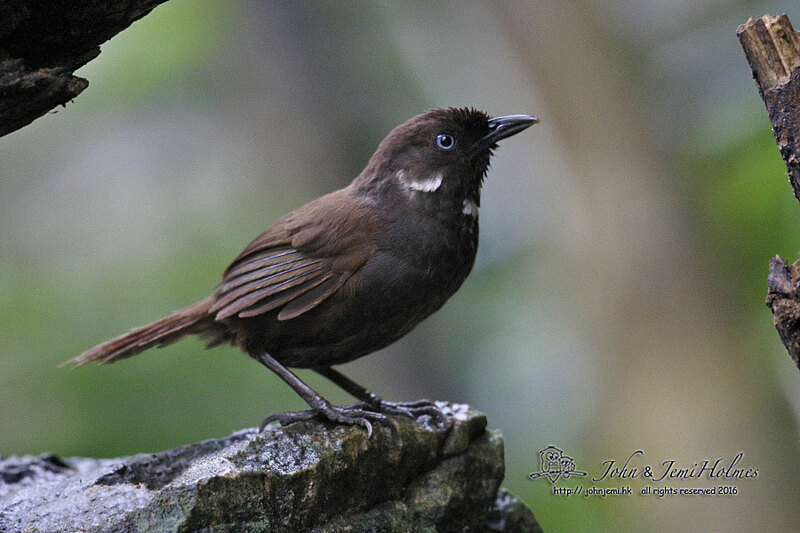 It was during these surveys that the Nonggang Babbler was discovered. 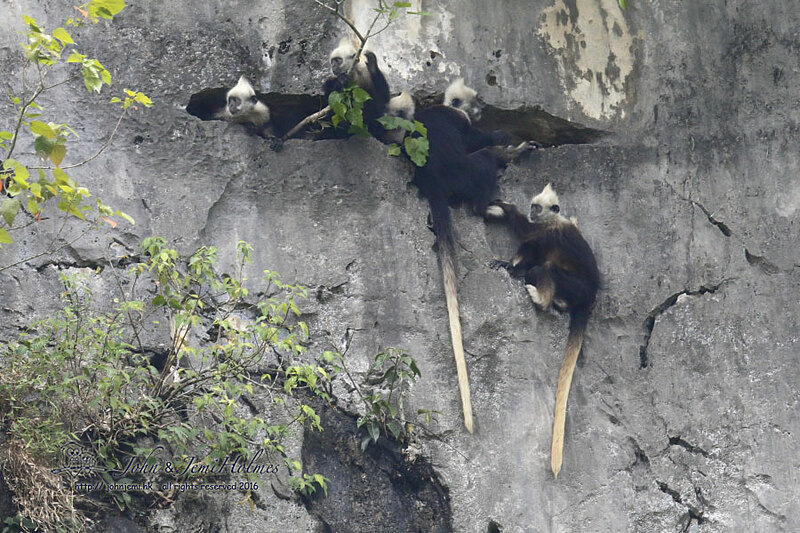 According to WWF Hong Kong's Biodiversity Review of China (1996) Nonggang National Nature Reserve is the only nature reserve in China "established for the protection of limestone subtropical monsoon rainforests". 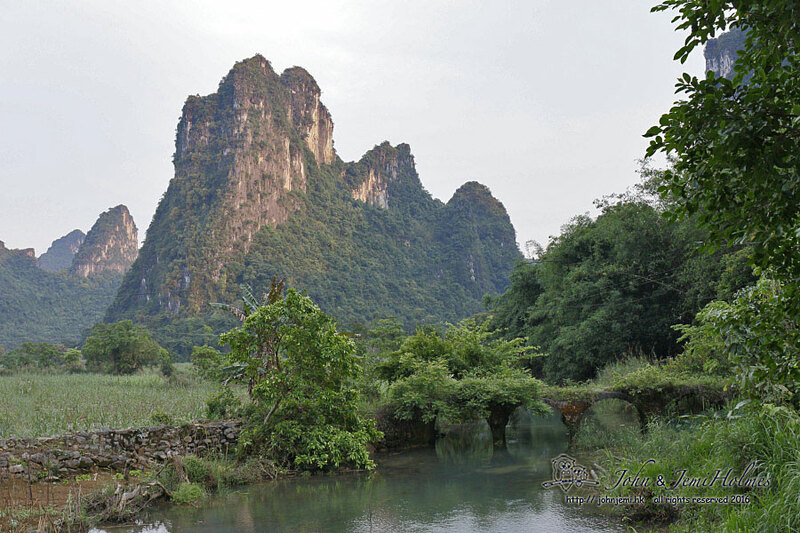 Official permission for foreigners to visit Nonggang National Nature Reserve is difficult to get. 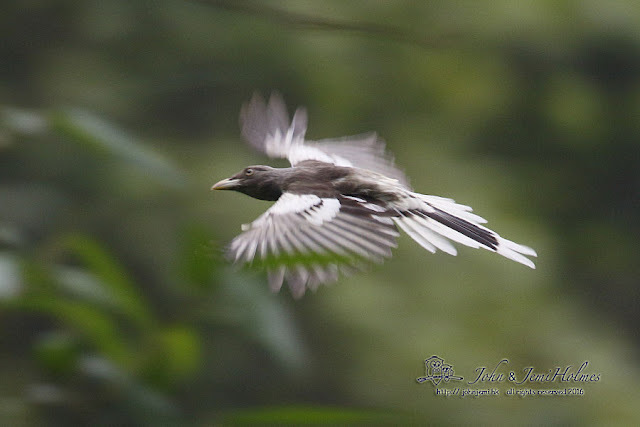 However, we were aware that some locals could show the babbler to visitors in the vicinity of the Nature Reserve. 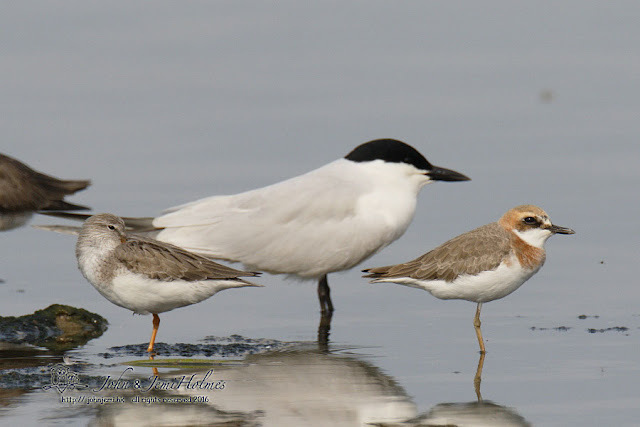 We discovered that HK birding friend Carrie Ma was also interested to go, and she made arrangements with Tong Mengxiu of China Wild Tour to make a three night, four-day visit to the Nonggang area. We were picked up around midday on 20th April at Nanning Airport by our host, Mr Nong，and set off first to the city of Chongzou. About 30Km out-of-town is recently upgraded National Nature Reserve (formerly "Eco Park" ) for the White-headed Langur Presbytis leucocephalus ("Trachypithecus poliocephalus" , according to Smith and Xie - A Guide to the Mammals of China). 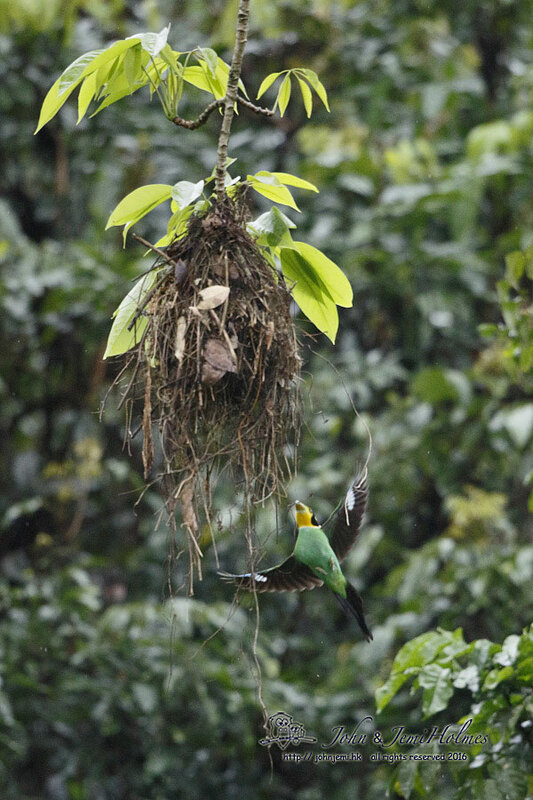 It seems that primate taxonomy - like bird taxonomy - is in a state of flux. The reserve itself is fenced off. As an Eco Park, it used to be a tourist destination (mentioned in the "Rough Guide to SW China" among others) but now appears to be closed and shuttered. We drove along a track outside the reserve walls and scanned the karst outcrops, both inside and outside the walled area. 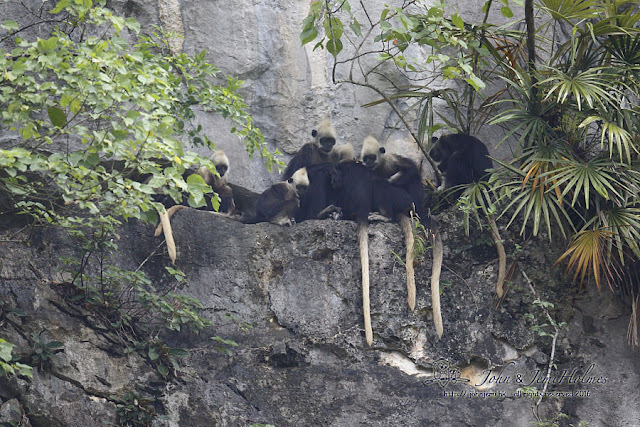 With rain approaching we saw a flurry of activity on a limestone cliff, and saw fifteen or sixteen langurs scuttling for cover from the rain on narrow ledges. 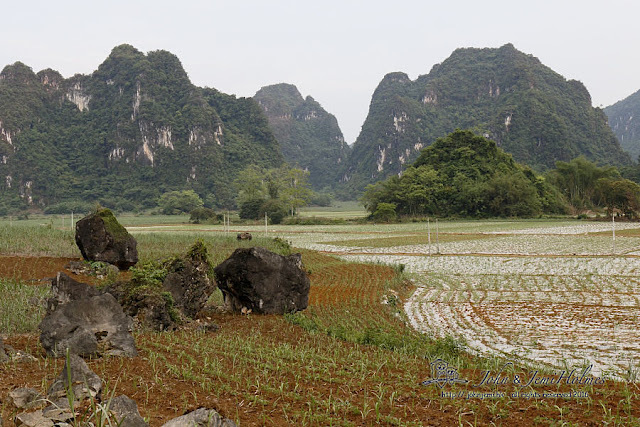 After this early chance to check how rainproof our camera lens covers were, we headed southwest where more karst outcrops dominated the landscape. 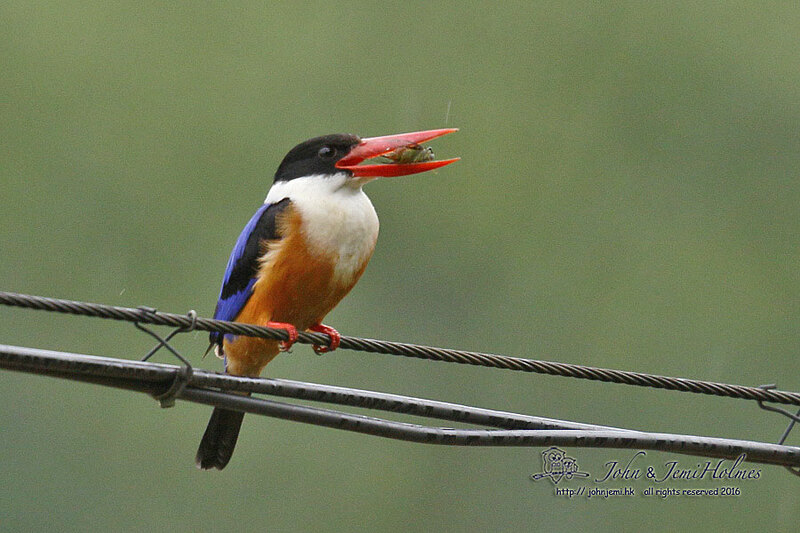 Over roadside fields we noted White-winged Starlings, Crested Buntings and a Francolin calling from a cable, finally arriving at Longheng Village after dark. 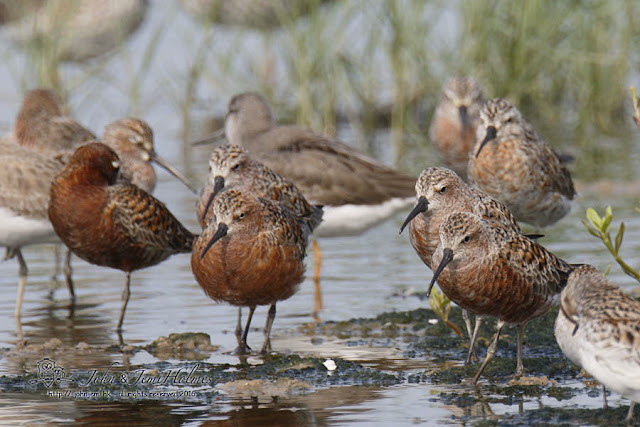 There are nine guides from several villages of the area working co-operatively to find birds and show them to visitors. 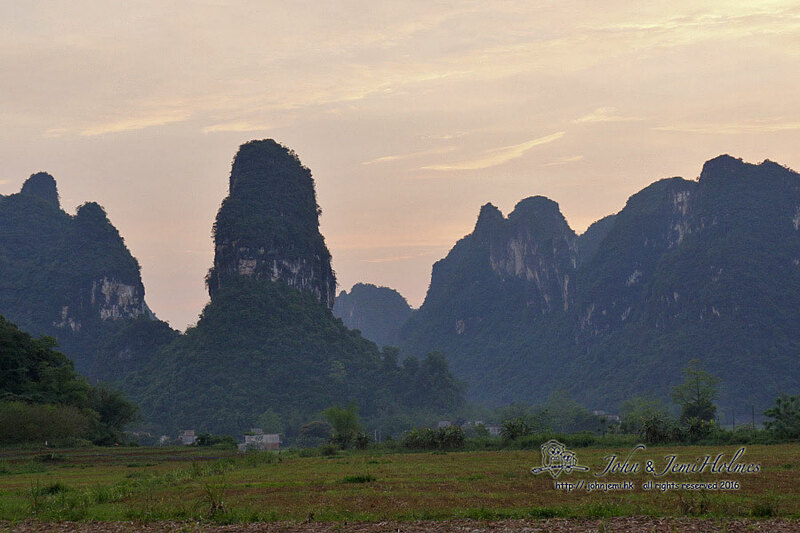 Most of this effort is made to accommodate Chinese photographers. 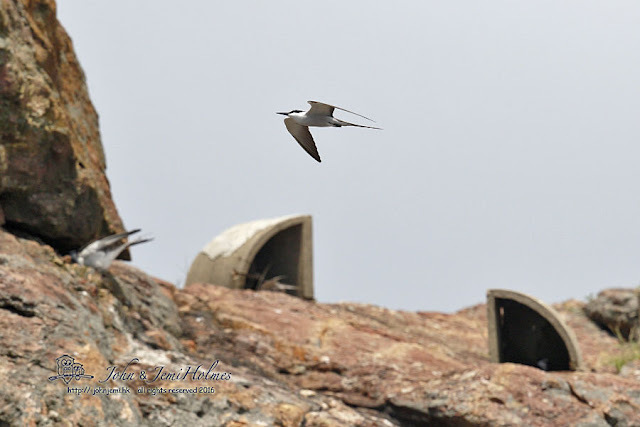 Until very recently, these locals were probably hunters of wild birds. Now there seems to be a good collaborative effort going to act as guides. 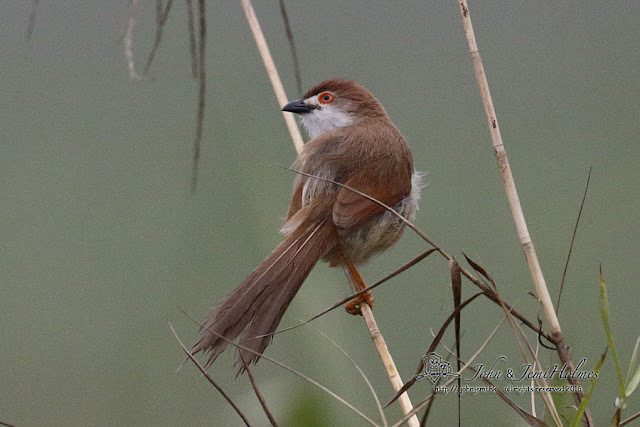 The prospect of more rain did not deter us from visiting their Nonggang Babbler set-up on the first full morning. 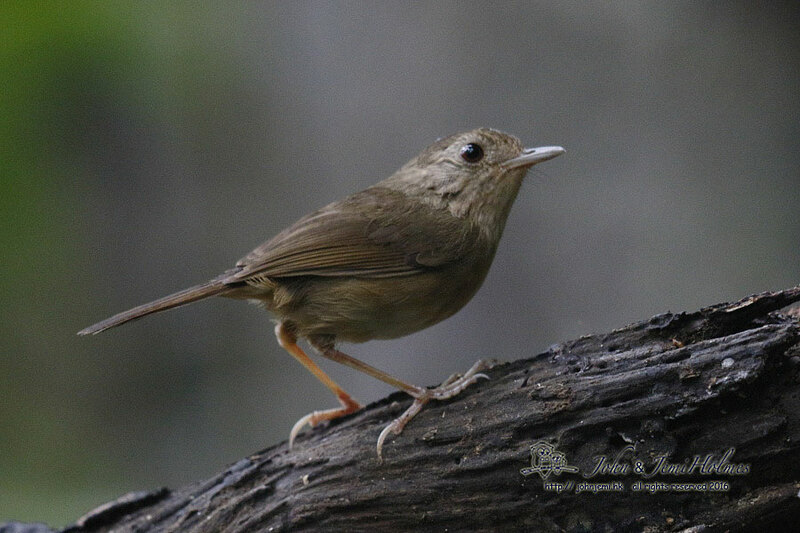 Buff-breasted Babbler and Streaked Wren Babbler provided the warm-up acts, but it took over an hour for the Nonggang Babbler to make his appearance. It was worth the wait. 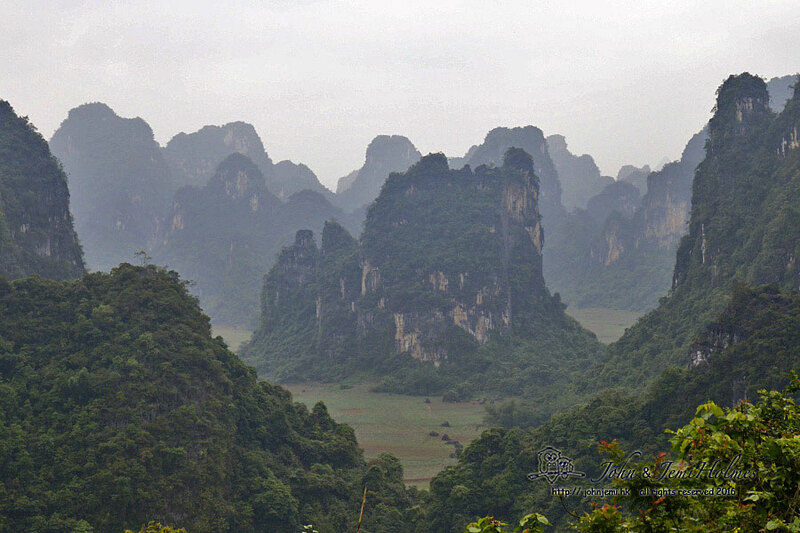 The periods of rain were a reminder that spring had arrived in SW Guangxi. 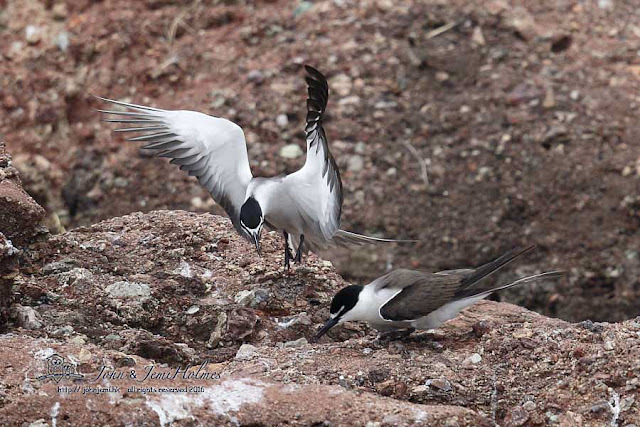 Some birds were calling in a territorial manner, and others already seemed to be carrying food for their young. The Yellow-eyed Babblers were already paired up. 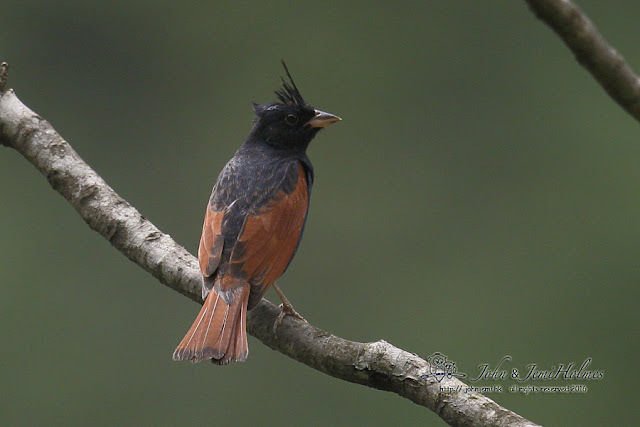 After lunch we sat in a hide behind Mr Nong's house, overlooking a pool created for White-rumped Shama. It failed to appear, despite the efforts of one of the more senior ladies of the household to whistle it in. 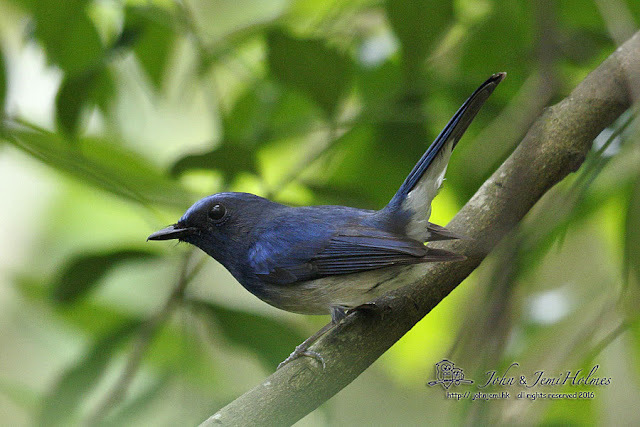 A flurry of blue as a flycatcher came and went had us poring over our field guides, but our elderly companion identified it - correctly - as Hainan Blue straight away. It was nice to see Crested Buntings around in good numbers, calling and holding territory . 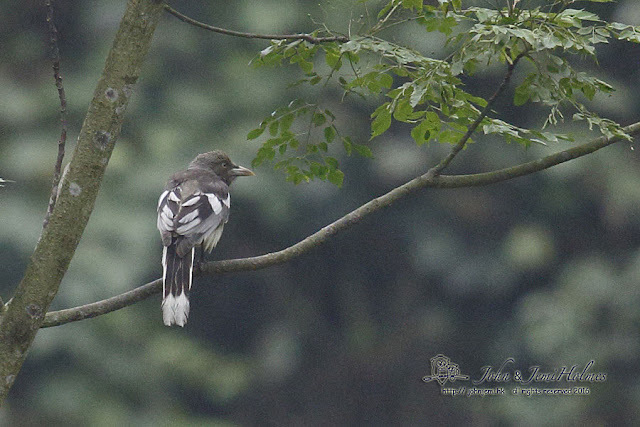 - with a highlight being a party of four White-winged Magpies, including at least one juvenile. 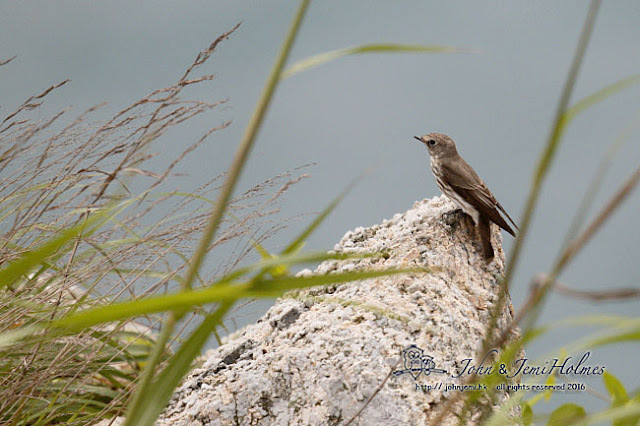 The karst scenery throughout the area made a remarkable backdrop for some unpredictable birding. 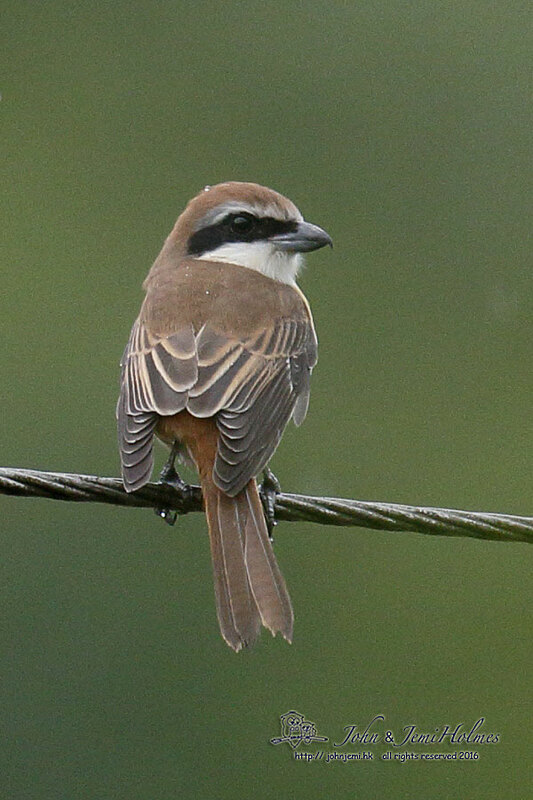 We saw two races of Brown Shrike within yards of each other. "lucionensis" - described in the Zheng's Avifauna as a winter visitor to Guangxi and race "cristatus", described as a passage migrant. 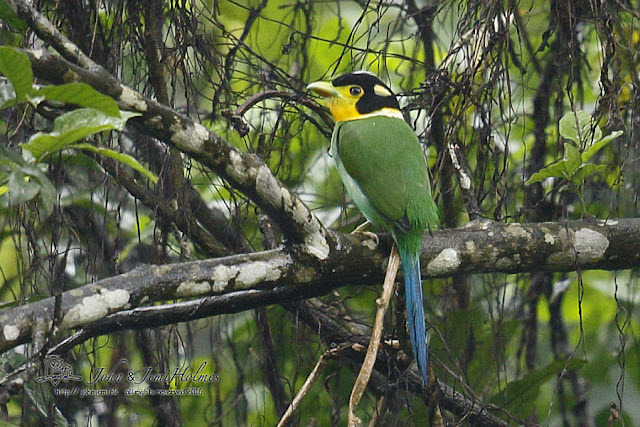 On Friday morning we checked out a report from a few days earlier of Long-tailed Broadbills building a nest behind another nearby village. Standing under a tree in persistent rain we saw both adults fluttering up into their untidy ball of twigs and creeper, effectively stitching the nest from the inside. Later we went to the road outside the Nature Reserve, and walked back from the locked gate. The noise of cicadas in the rain seemed to drown out everything else, but two Buff-breasted Babblers and a Streaked Wren Babbler came to peep at us. That afternoon we tried a hide established to see White-winged Magpies, but in two hours they didn't come for the papaya on offer. Our disappointment was tempered by seeing several individuals from the edge of the cane fields at the foot of the karst outcrops. 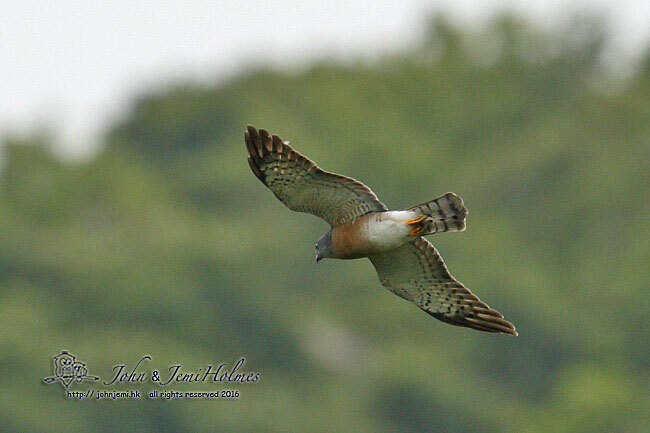 On our final morning, we walked over a ridge to an abandoned area of fields at the end of a track. 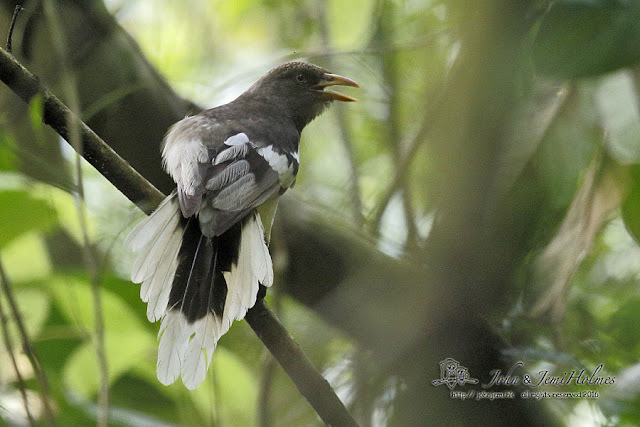 As on previous days, the birding was slow going, but we saw a pair of Indochinese Green Magpies briefly. 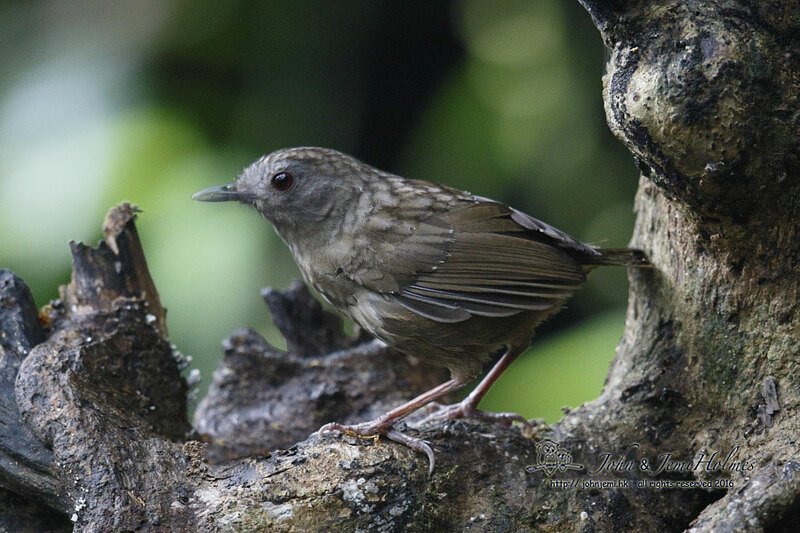 White-browed Piculets and Yellow-bellied Warbler competed in stands of bamboo. 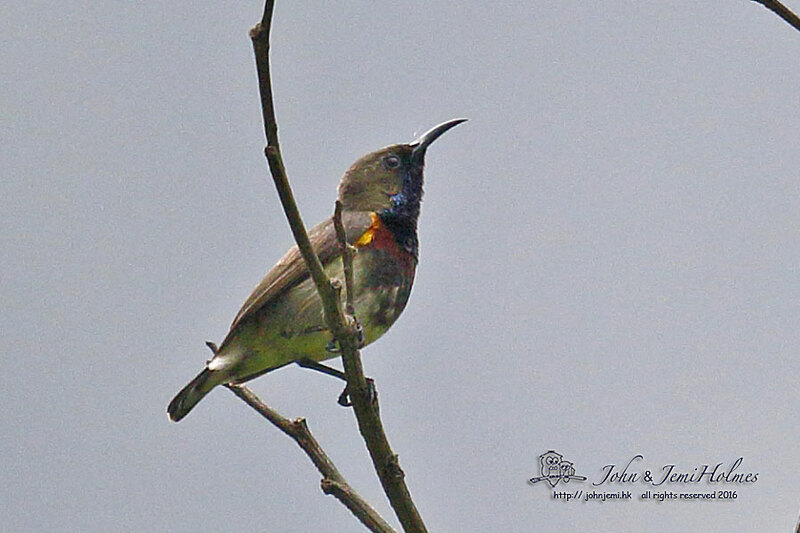 Olive-backed Sunbird, Black-crested Bulbul and Black Bulbul were new for the trip list. 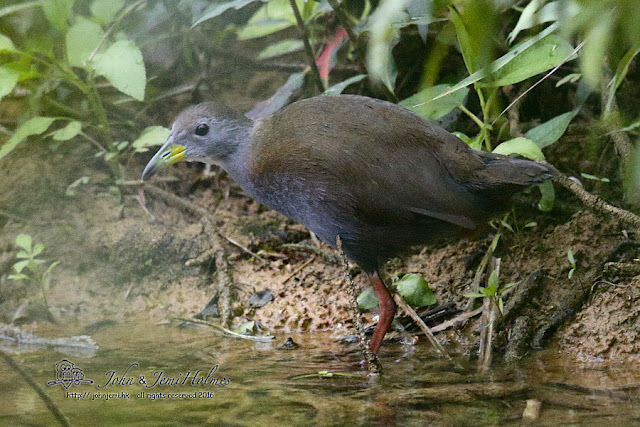 Red Jungle Fowl and Collared Scops Owl were "Heard" only. A highlight was two Blue-breasted (King) Quails crossing a track in an abandoned maize field; - but these rarely seen birds were too quick for me to get a photo. 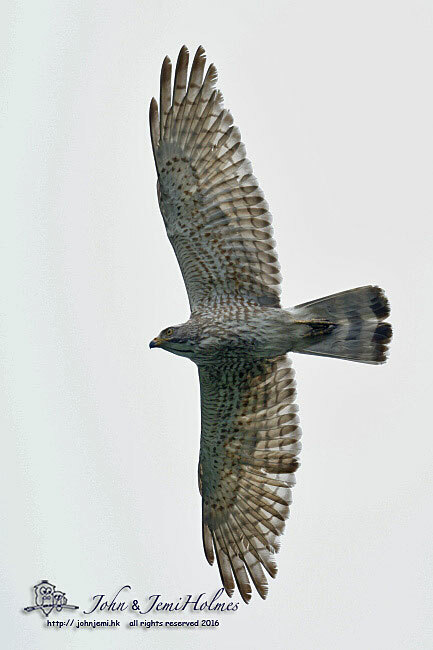 Our brief visit was all-too-soon over. It was a fascinating area, and we'll go back in a drier, cooler season.